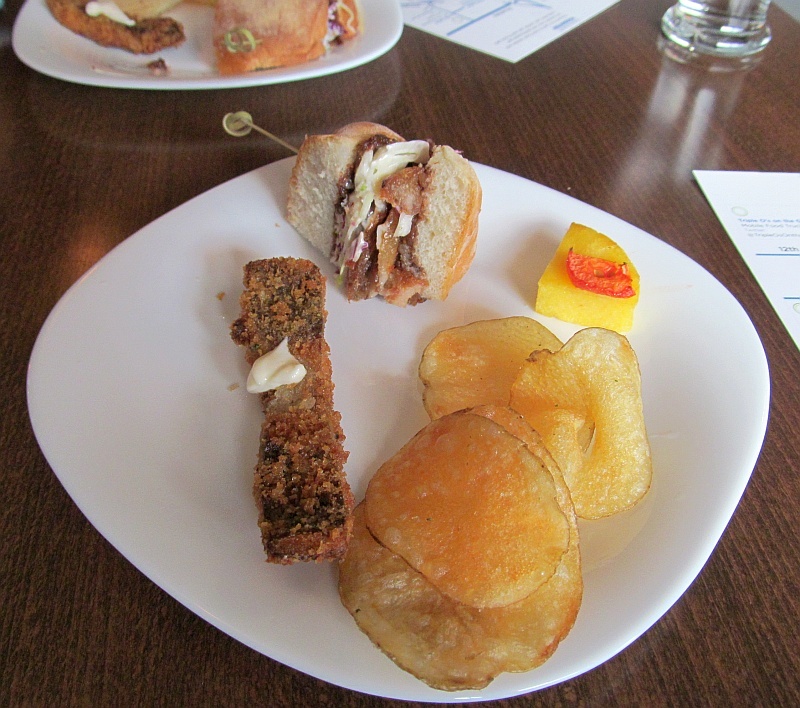 Last week was Vancouver Foodster’s Tasting Plates Main Street edition. 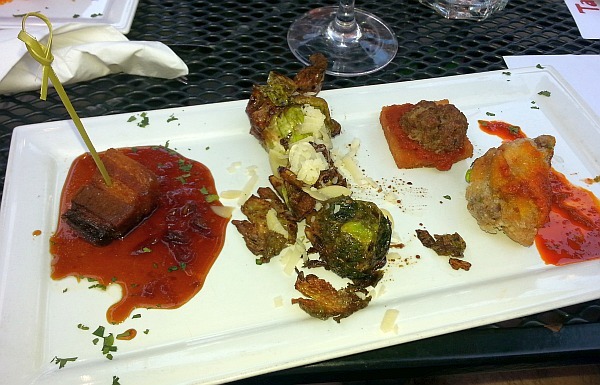 We had a beautiful sunny evening to stroll along Main Street sampling from 6 restaurants / venues. The restaurants / venues, their menus, and my pictures are below. 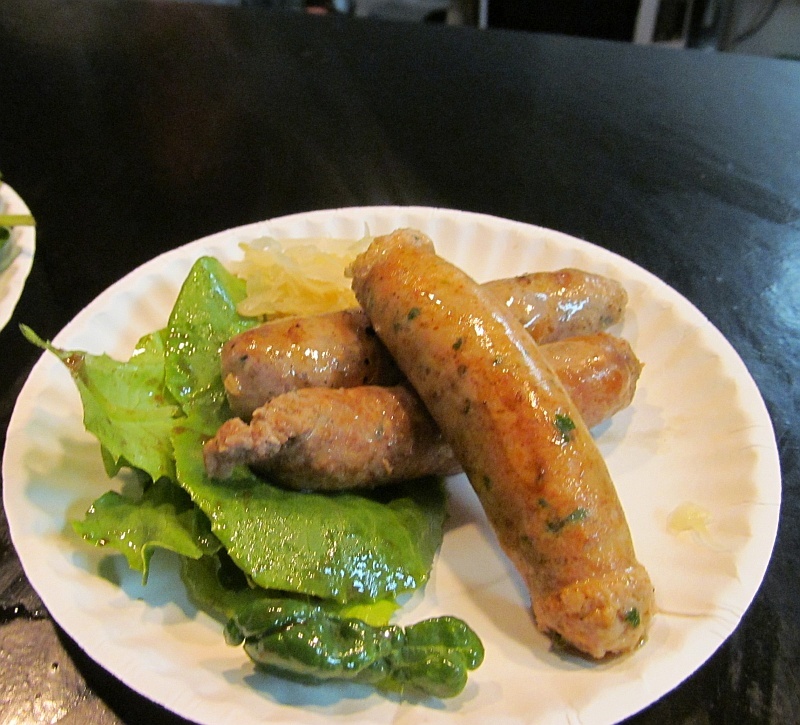 Enjoy, and visit them if you want to try them too. 2) Potato crusted wings (achote sauce). 3) Bombas (braised pork belly). The braised pork belly was the star on the plate, but I also must mention an item that was not on the original list; Albondigas. This Spanish style meatball was tender and had a paprika sauce that took the flavour up a notch. 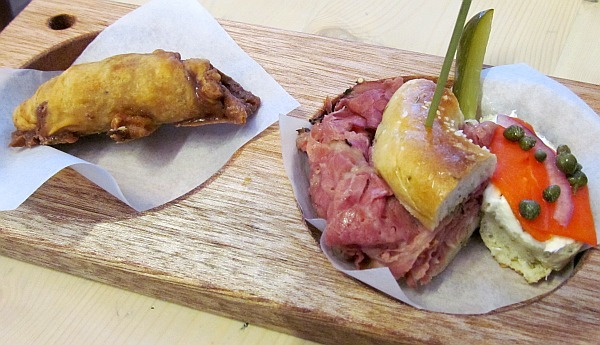 The Montreal smoked meat sandwich was served hot. It melted in your mouth. I would have loved a choice of mustard. All 3 teas were very different and each were enjoyable to sip. I can see both the ginger lemon and the African dream rooibos making good iced tea for the summer. 2) Cream Cheese Brownie made with Tawari honey from New Zealand. Honeycomb – as raw as it gets! 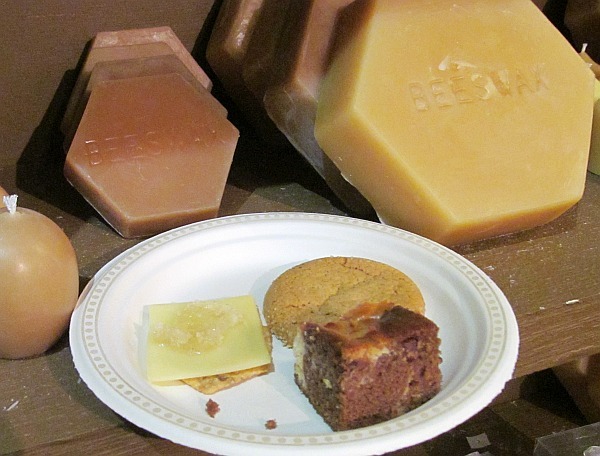 Sample a slice of pure honeycomb from British Columbia, paired with premium cheese and Honey Sampling. Before getting to the honey almond cake and cream cheese brownie (which was rich and moist), the honey tasting was quite interesting as we were introduced to honey from different flowers, e.g. clover vs wildflower. Most of the honeys we tasted were from BC, but we also had a chance to try more exotic honeys from New Zealand and Australia. 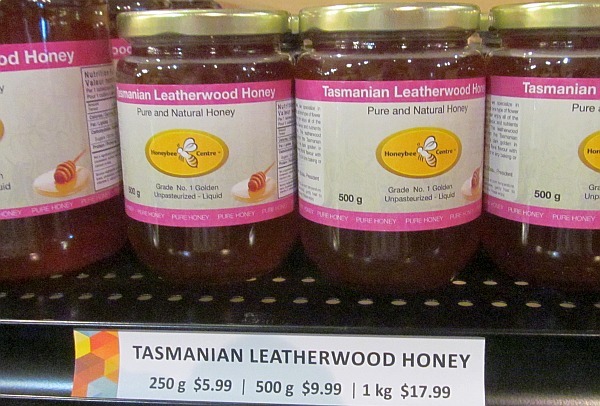 My favourite was the Tasmanian Leatherwood Honey. 2) Naturally Meaty: Spicy certified organic beef, sulphate free Italian sausage, ripe tomatoes, green peppers, red onions, asiago cheese & fresh herbs. 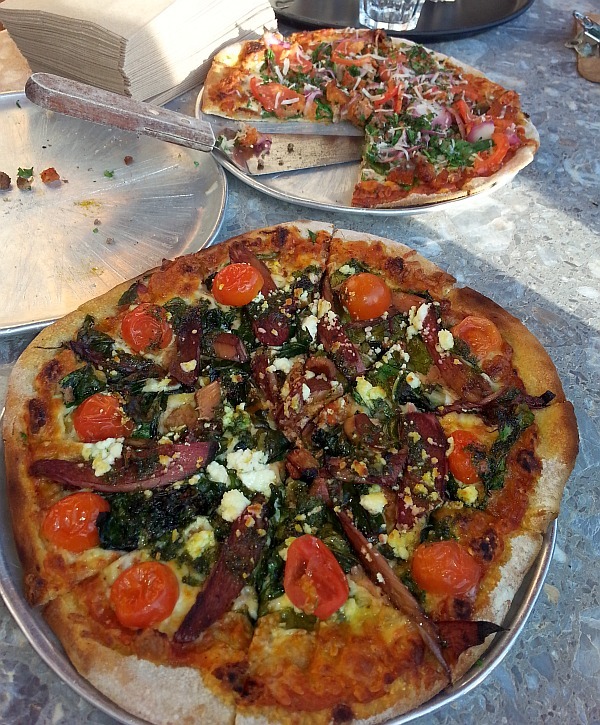 I was originally unsure about the veggie pizza, never having tried balsamic marinated rhubarb and chard before, but this pizza was quite tasty. 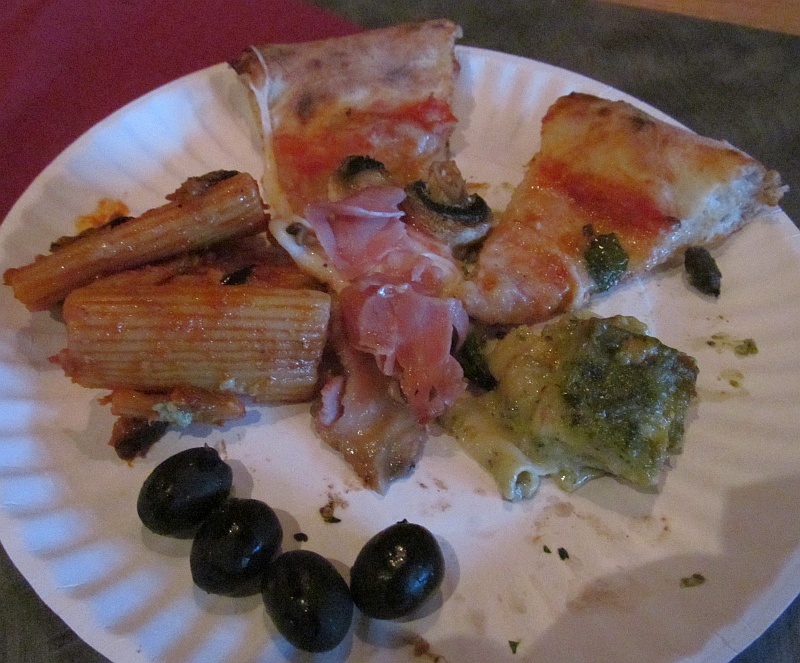 The meat pizza was also very good. I quite like their crusts. Never soggy. This was the last stop on the route for me today, and unfortunately I ran out of time due to the line up length. I will have to come by on my own to try out their waffle. 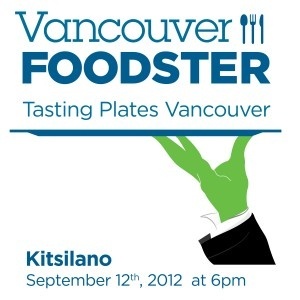 Last week was Vancouver Foodster‘s 2nd Tasting Plates event in Vancouver. The first one was held downtown in February. This one was primarily on Main Street, which is gaining more restaurants and cafes. We were lucky to have a nice, not rainy, day to walk about. My partner in crime this evening was Dianne Chow @diannechow. Enjoy our tasting trip through my photos. 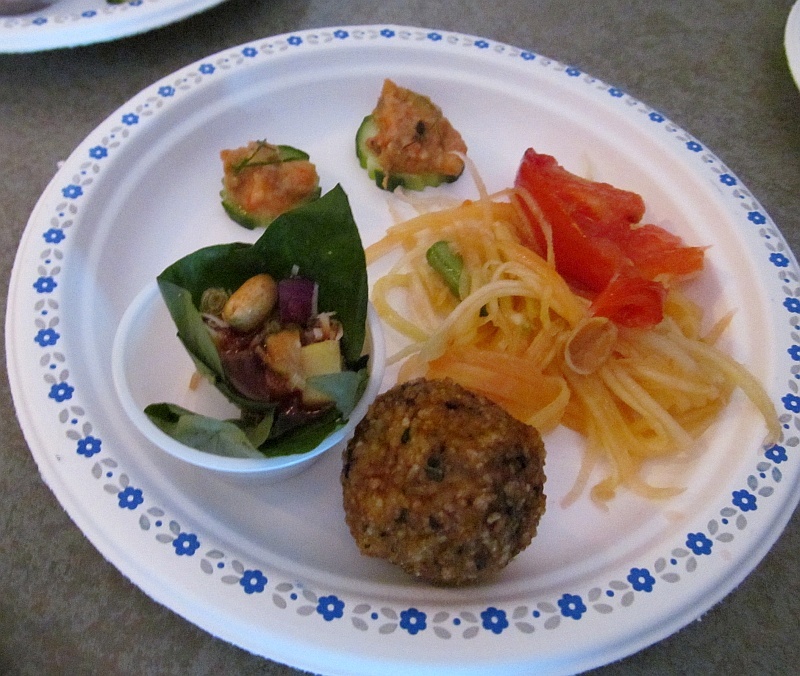 Bob Likes Thai Food – Tuna Chili Dip, Rice ball with red curry paste, papaya salad and more. Overall my favourite restaurant sampling of the evening was the Sal y Limon Taco pollo pibil. I like the texture of the corn tortilla, plus you could pick which salsa/sauce you wanted to top on your chicken. The favourite drink is a toss up between the Butterfinger milk shake and the spiced orange mocha. Overall all the places had something tasty to try. The full menu that evening for each restaurant are at this link. 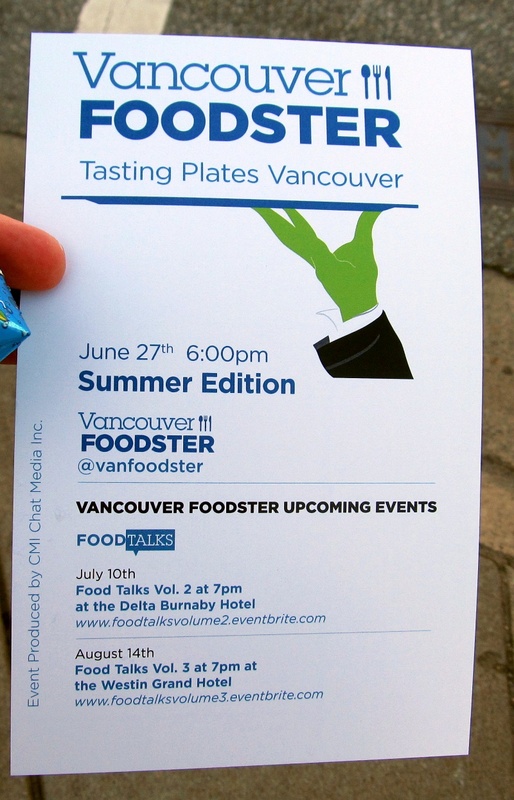 If you like a bit of a restaurant crawl (similar to a pub crawl, but this one is food-based), then consider attending the Tasting Plates Vancouver Summer Edition. 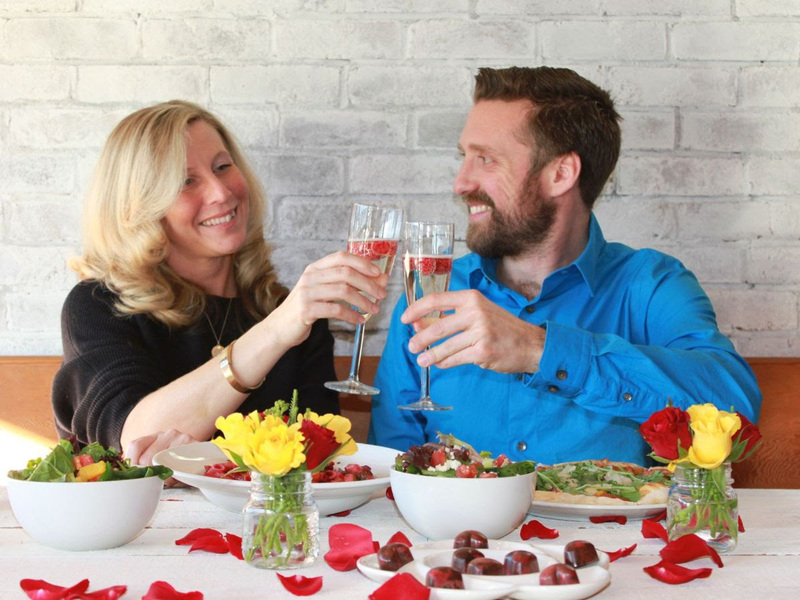 Here are all the details you need to know, including participating restaurants, day and cost, from @vanfoodster ‘s press release. Partial proceeds donated to support Project Limelight. I attended the February event and had fun. Enjoy! Vancouver, BC – Prepare to experience some of the newest and tastiest offerings on Wednesday, June 27, 2012 from 6 to 10 p.m. as Vancouver Foodster, Vancouver’s essential online food and drink guide, presents “Tasting Plates Vancouver” Summer Edition. Participating restaurants will offer tasting plates of their food to the guests, thereby showcasing their restaurant and promoting their food and chefs. 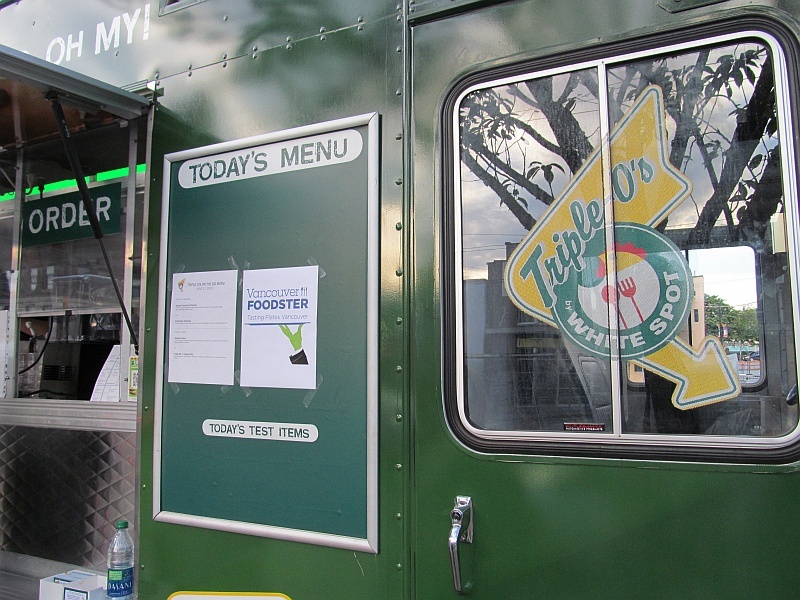 The event is a roving tour that brings guests to the participating restaurants, cafes & food trucks, throughout the evening and they will walk, bike, transit, drive or car pool around East Van (Main Street, Fraser Street & Kingsway (between Main & Fraser) to the various participating restaurants. 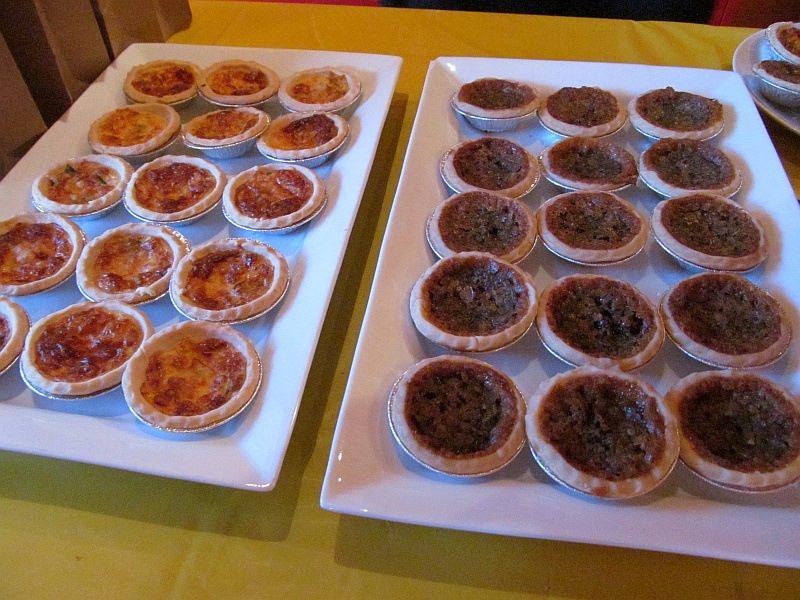 These are some of the tasty dishes to whet your appetite – offered at our previous event in February. 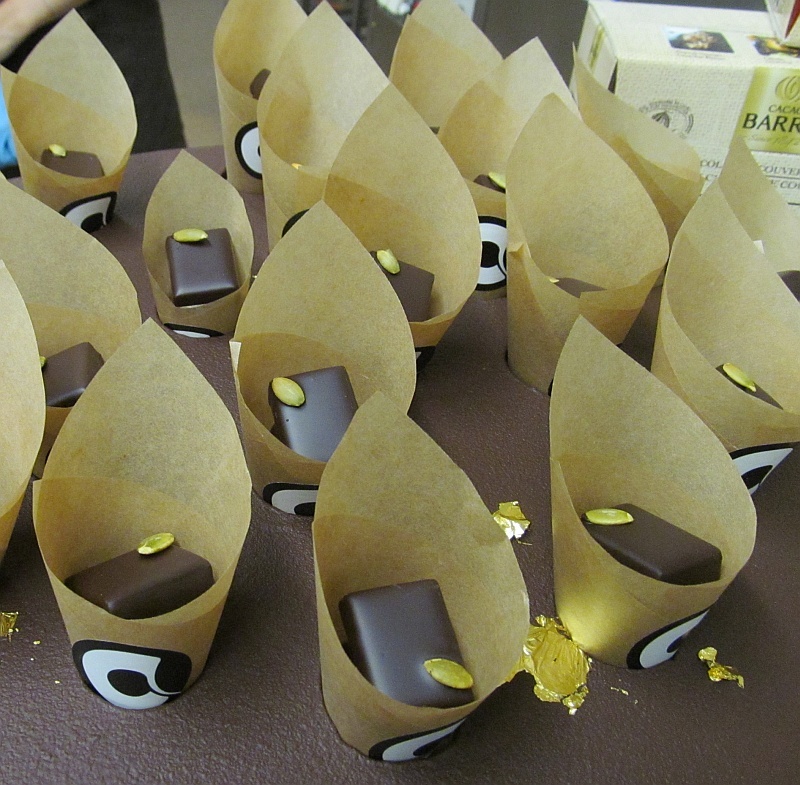 and photos from our previous event in February. Advance Tickets: $30 per person (eventbrite fee extra) before June 23, $100 for 4 pak of tickets (get a group of your friends/family together and save by purchasing a 4 pak (eventbrite fee extra) before June 23rd. *Regular Tickets $40 per person (eventbrite fee extra) after June 23 – ticket price includes tasting plates at each of the participating restaurants throughout the evening. 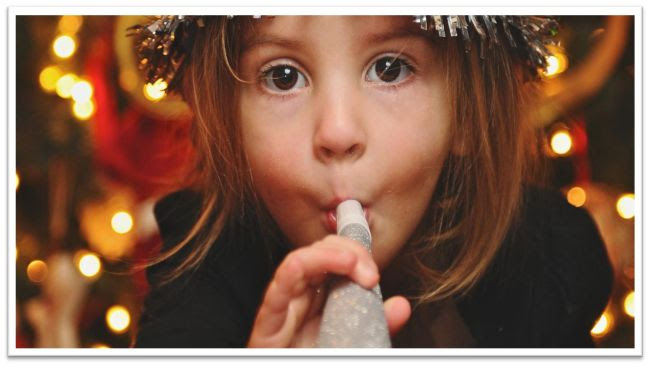 A donation of $3 from each ticket purchased will go to support Project Limelight. 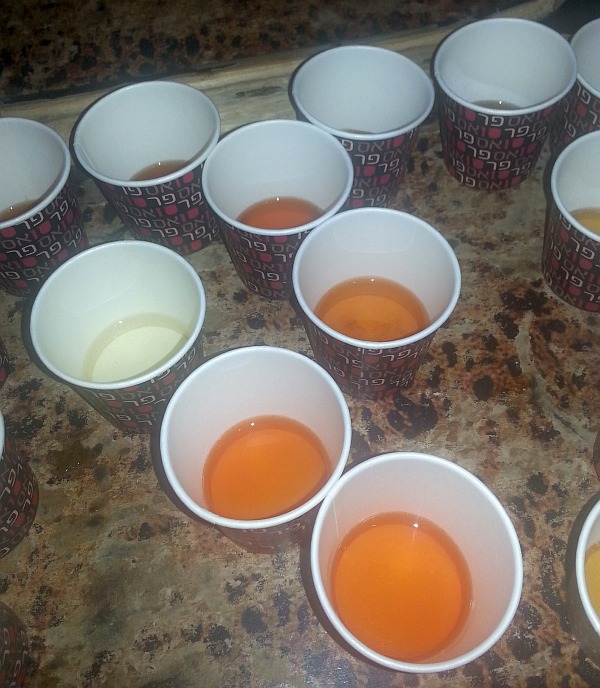 (Beverages are included at some restaurants which will be noted, you are welcome to purchase wine, beer, cocktails or mocktails at each of the participating restaurants).